LAND – an event comprising performances, visual art installations, public lectures and panels about land, territory, ownership and art – will be presented by the Gordon Institute for Performing and Creative Arts (GIPCA) from 21-24 November at various spaces throughout the City of Cape Town. South Africa is characterised by a series of disjunctive experiences in a land of extraordinary contrast: its natural splendour belies the brutal experiences of slavery, forced removals and continued poverty. In deference to the centennial of the infamous Native Land Act of 1913, there has been a national focus on land as a vessel of trade, trauma, and restitution. The material inscription of colonisation, with the Land Act as its formalisation, remains performative – still determining where people live and intersect, and how people move through space. It results in diverse and opposing ideas, values, dreams that constantly disrupt the country’s present. That such distension still exists twenty years into our democracy, foregrounds the complexity of the subject. LAND focuses on contemporary practices, the traumas and the hauntedness that manifest as a result of this condition. The event probes the nuances and paradoxes of the subject as taken on by visual and performing artists, composers, musicians and filmmakers. While there will be consideration of broad, overarching themes such as restitution; many of the talks will be presented by artists and art theorists around processes and impacts of a range of artworks. Site specific performances, visual art installations, choreographed works, film screenings and exhibitions will punctuate the theoretical conversations, providing immediate material for discussion and further research. A strong feature of LAND is that it takes place at various spaces of historical significance and contemporary contestation in the city. The controversial Prestwich Memorial hosts the opening night with keynote addresses by Professors Lungisile Ntsebeza (NRF Research Chair in Land Reform and Democracy in South Africa) and Nick Shepherd (Centre for African Studies, UCT). Works choreographed by Tebogo Munyai, and Jazzart Dance Theatre’s Jacqueline Manyaapelo will be performed in the Memorial grounds. The first panel discussion – setting the themes for the political, the material and the aesthetic – will also take place at Prestwich and includes arts critic Athi Mongezeleli Joja and architect Kevin Fellingham. This will precede the screening of two short films, Bones Don’t Lie and Don’t Forget and Where Time Stands Still, by Kim Munsamy and Guatemalan filmmaker Sebástian Porras. The Grand Parade and the Castle of Good Hope will play host to performances in the underground tunnels conceived by guerrilla gallery’s Kim Gurney with artist Pauline Theart, and works by Munyai and visual artist Leonard Shapiro. The historic Cape Town City Hall will house Emmy nominated composer Philip Miller’s Extracts from the Underground – a sprawling mixed media installation based on his most recent opera, Anatomy of a Mining Accident. The CMMN SNS PRJCT and Halfbread Technique, two unique and off-beat performances by award-winning Swiss performance artists Laura Kalauz and Martin Schick, will be performed in the main auditorium. Gary Hartley’s interactive work, SIMilar, allows audience members to re-imagine ‘land’, in a live application of the virtual reality game ‘The SIMS’. The highly contested Rondebosch Common is the subject of Elgin Rust and Katherine Spindler’s The Common Garden project, which will be installed at the entrance of the City Hall; while the exhibition spaces inside house works by Refilwe Nkomo and Johannesburg-based artist Nolan Dennis. A series of films curated by Nicole Sarmiento and Ismail Farouk, including Heidi Grünebaum and Mark Kaplan’s The Village Under the Forest, will also be screened at the City hall. 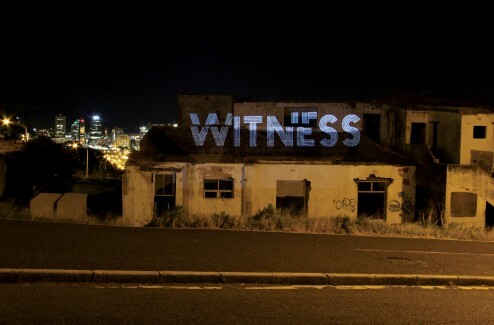 Haroon Gunn-Salie’s Witness will be installed on site in District Six; while a discussion panel considering Displacements will be held at the District Six Museum’s Homecoming Centre, and includes input from Joshua Williams (UC Berkley) and Ismail Farouk (African Centre for Cities, UCT), as well as a presentation by artist and theorist Rael Salley about his recent exhibition, Vistas. 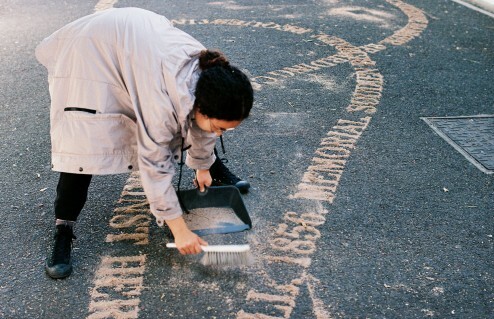 Amy Soudien’s Trajectories, a work in sand that traces lineage and heritage, will be installed behind the Iziko Slave Lodge; and the lecture theatre inside the Slave Lodge will house the final panel on Small Cities, Personal Narratives and staged conversations with Phillip Miller, librettist Anna Hamlin and theatre director Neil Coppen, amongst others. 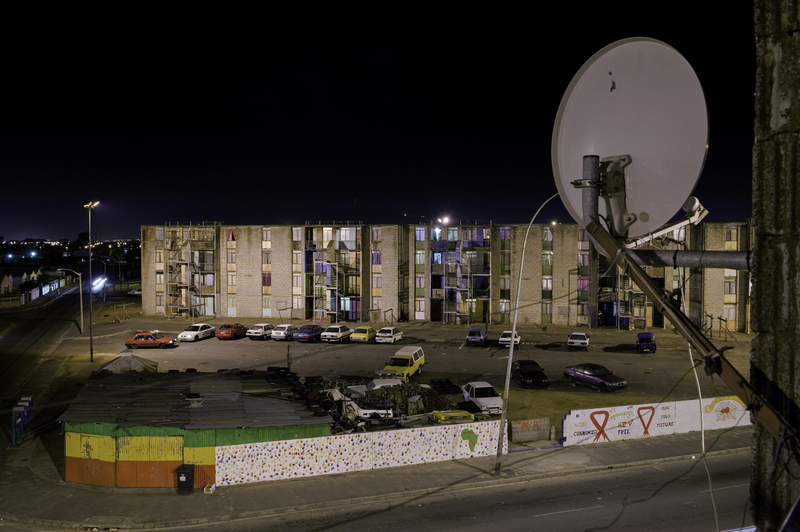 Embracing fault lines between two opposite poles of the city, Sarmiento and Farouk’s Land and Erasure will take audiences on performative walking tours – one through the centre of Bonteheuwel and another through the central city. Terminal, curated by Jean Brundrit, Svea Josephy and Adrienne van Eeden Wharton, will see the city’s street poles featuring photographic works by a range of artists from Berni Searle to Lindeka Qampi. These works round an event that is aimed at providing visibility to what continues to be a submerged topic; as well as scope for further discussion, representation and research. Visit the NEWS section for more information on the site specific performances, installations, films and Land and Erasure tours. LAND will take place at various spaces throughout the City of Cape Town from 21-24 November 2013. The event is kindly supported by the City of Cape Town’s Arts and Culture Department; and presented in association with Pro Helvetia, Iziko Museums of South Africa, the District Six Museum, the Centre for African Studies (UCT) and the African Centre for Cities (UCT). With thanks to the City of Cape Town Environmental and Heritage Branch, Green Point CID, Cape Town Central Library and St Andrew’s Presbyterian Church. Admission to LAND is free, but booking for the events at Prestwich Memorial, the District Six Museum’s Homecoming Centre, Iziko Slave Lodge, City Hall and the Land and Erasure tours are essential. For full programme details, consult www.gipca.uct.ac.za. To book, contact gipca.bookings@gmail.com. Please consult website regularly for additional programme information. 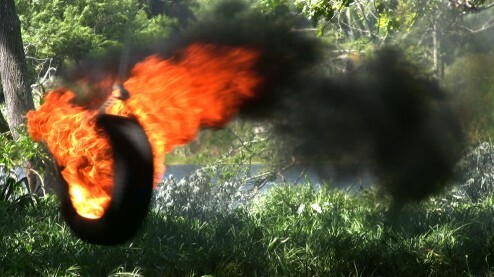 Image credits from top: Ashley Walters - Satellite, Dark City (2011); Amie Soudien – Trajectories (2013); Laura Kalauz and Martin Schick – CMMN SNS PRJCT; Haroon Gunn-Salie – Witness – a site specific intervention (2012); Berni Searle – still from Lull (2009). LAND – Full Programme available for download.